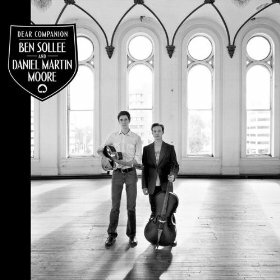 For the past year, Daniel Martin Moore and Ben Sollee have been touring the country in support of their record Dear Companion, which was designed to raise awareness about mountaintop removal mining (MTR). Far from being a mere polemic, the songs are subtle and nuanced, beautiful elegies that form a Requiem Mass for the Appalachians. 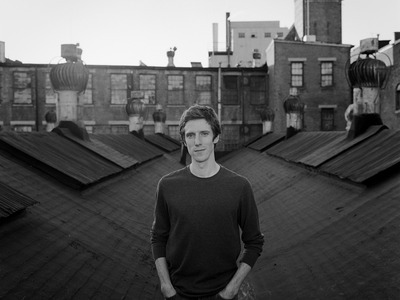 Still recently sat down to talk with Moore about Dear Companion, folk music, and his new album, In the Cool of the Day, which was released on 18 January 2011. Still: How did Dear Companion come about? DMM: MySpace. (laughs) It really did actually. I had posted a song on MySpace called “Flyrock Blues,” which is…on the record. I don’t exactly know how Ben came across it, but it turns out that I was going to be at an in-store at CD Central in Lexington, and Ben sent me an email. He was like, “Hey, you know, it seems like we’re kind of working along the same lines here. We’re both thinking about this. If nothing else, we should just meet up and chat and see if we could help each other out or see if we could maybe do something together.” I don’t know, he was just going to come down to the in-store and I said, “That’d be great.” I had not heard his music before but I listened to it as soon as I got his email, and I was really impressed. We had coffee and just talked about music. We just really kind of hit it off personally and we just kept talking about doing some songs and making some recordings about trying to raise awareness about mountaintop removal. And Ben had been working with Jim [James of My Morning Jacket, who produced Dear Companion] on “Only A Song.” Jim ended up wanting to get involved, and it seemed to make a lot of sense for him to produce it. It all came together; it seemed like it was supposed to be. Still: How many songs did you all end up writing together? DMM: We wrote one when it was an EP, and then we came back and decided to make it a full-length [album] and ended up writing another song together, and then each of us contributed maybe another two or three more on top of that, which stretched it out to eleven songs. It’s…somewhere around 33 minutes, so [it’s] not a really long record, but it’s going to be right in that classic length that I like the most. Still: What do you hope to do with the album—to raise awareness? DMM: Ben and I have talked about this a lot. We’re not experts and we’re not scholars. We don’t want to go out and preach to people; we just want to point in the direction and say, “Look, here are some resources. If you want to learn about it—if it’s something that matters to you and if you think it’s something you want to help with—come talk to us and we can point you in the right direction.” We’re donating all the artist royalties, all the sales royalties, to Appalachian Voices. DMM: It’s probably not going to end up being a huge contribution, but we want to give them everything we can because they’re very visible, and for raising awareness, they seem to really be on the forefront. Still: Why fuse a social justice issue like MTR with music? Why not just write an op-ed? DMM: I think it’s what music is for. Just listening to artists like Woody Guthrie, all of those songs—even “This Land Is Your Land” is a song about fighting injustice. DMM: (laughs) Yeah. I just think that the reason I didn’t write an op-ed or something to that effect is what I can do is best served with the music. The whole purpose of the project is to get attention for it, and we wanted to make a record that we really hope people will like and be interested in, even if they know nothing about MTR, know nothing about Eastern Kentucky, or any of the problems that folks are having. And we can use it draw them in, even if it’s in a cursory role. Still: And it reaches a whole different demographic. Still: How has growing up in Kentucky influenced your music? DMM: Well, I got to hear from really early on a lot of great live music, ‘cause there’s a lot of bluegrass bands pretty much everywhere from north, south, east and west in Kentucky. There’s bluegrass bands and country bands, and I can remember once we moved to northern Kentucky, there was a fellow who went to our church—Pleasant Ridge Baptist Church—and…I can’t remember his last name for the life of me right now. His first name was Nathan, and he was an old guy; he was in his 70s. But he was a singer in this bluegrass band, and they would come play after church some Sundays, play Louvin Brothers songs and all kinds of great stuff. So it was sort of always present. Still: So how do you think the landscape or the spirit of the region comes through in your music? DMM: That’s a good question. Still: Because your album is full of environmental and nature imagery and metaphors. DMM: I think I just love being in nature so much, and coming from here makes it really easy to do that. Even a backyard in a suburb can have a lot of woods in it. And then you sort of come to a place like this or way down in the mountains or whatever. It’s just really easy to be surrounded by nature. I don’t know—it’s just something that I so thoroughly enjoy and feel that is essential. I think it just sort of bubbles up. Still: What do you hope to convey about the region when you’re on the road, if anything? DMM: I always think fondly of it because usually I am pretty homesick, so I’m sure that probably comes across. I play “Flyrock Blues” at every show and talk a little bit about mountaintop removal. That’s probably the biggest thing I’ve been conveying of late. I always play one of the old ballads at a show, too—at least one—and talk about it because a lot of people have never heard them. It’s surprising to me how many people have never heard just old folk songs. They’ve never been exposed to them in their lives. So I try to pick one that’s kind of accessible and somewhat short, because a lot of them (laughs) are a little overwhelming. Hear an eleven-minute version of “Lord Randall;” most people can’t handle that. Still: It’s few and far between anymore. 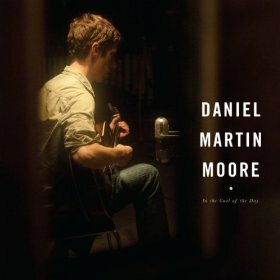 DMM: Even though I came to those folk songs not directly, you know what I mean—I don’t remember my grandmother ever singing “Barbry Allen” or anything like that—but as I learned them, as I heard Jean Ritchie singing them, for example, I just instantly recognized how those songs informed all the songs that I really loved. Still: The region is famous for breeding great musicians. What do you think it is that produces such talent? Do you think it’s the culture, do you think it’s the land, the oral tradition, religion? DMM: I think it would have to be like a really interesting combination of all that stuff. We have all of the folk tradition, the oral tradition, coming over from the British Isles, you know, all of the folk songs that have sort of seeped into our way of life and our music and the way we talk and the places, the names of places. I think all of those songs really exerted a lot of influence on the culture. And I also think the pace of life—especially the country life—is really just sort of essential, and it kind of lends itself to somebody like Jean Ritchie. Her family really sang all the time, right? And grew up singing, and it was just a part of what they did and where they were. I think a lot of people in Kentucky—and in any rural place in the South—get that from church, too, just from hymns. I think everybody’s grandmother was just walking around humming hymns. Right—isn’t that how it works? That’s how my mom is, that’s how my grandma was, you know, just sort of absentmindedly singing “I’ll Fly Away” while doing whatever. It’s just a part of us as a people, I think. Still: Tell about the new album, In the Cool of the Day. 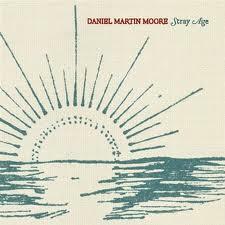 DMM: I’m calling it a folk-gospel-country-jazz album. (laughs) It’s folk tunes, some spirituals, some hymns and some original stuff. [I approached] it with all four of those styles of music in mind at the same time. Still: And so it’s going to continue your family tradition then—your grandmother singing hymns, your mother singing hymns. DMM: Exactly. Those are the songs…like “Softly and Tenderly” we’re gonna do, and “In the Garden” and “Closer Walk With Thee.” “It Is Well With My Soul.” Those are the songs that I grew up hearing all the time; that I loved as a child and love now, and it just seems like the right thing to do.